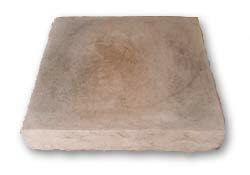 Along with the various style of stone we offer, we also manufacture a wide variety of stone accessories to skillfully complete any stone project. We offer nearly every amenity imaginable, and we strive to be innovative in creation of new ideas. All accessories come in any of the 5 color choices pictured below. 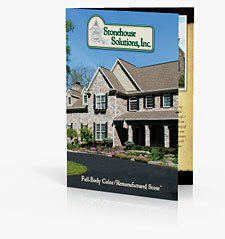 They are each designed to blend nicely with the colors we offer in our line. The home pictured to the right is a beautiful example of many of our accents. The masons used European Cobblestone in Sunflower with Keystones and Soldiers around windows and arches. There are bullnosed sills under the windows, and also used around the top of their foundation for a nice divide between stone and stucco. 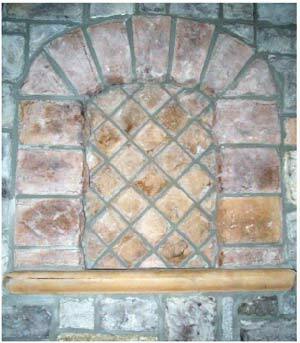 Natural Stone Mantles are becoming harder and harder to get, especially in particular colors. Additionally they are extremely expensive in contrast to our manufactured version. 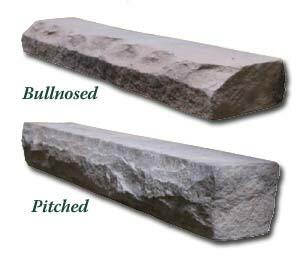 We have replicated the look of a Natural Stone Mantle down to the detailed chiseled edges, which you would see from a Natural Piece. In unison with our Corbels they complement our stone fireplaces dramatically. They may also be used as a single Hearthstone piece and as treads for steps. mounting bracket for easy installation. 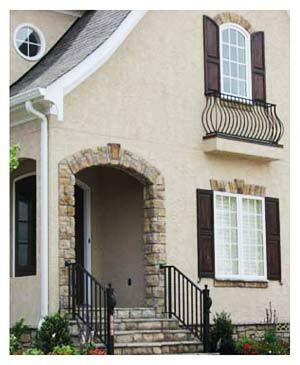 Our stone sills can not only be used as an added detail under your windows. 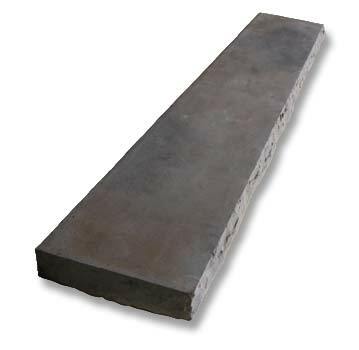 They also function as a watertable or drip ledge in many circumstances such as a nice horizontal transition where the stone meets other sidings. 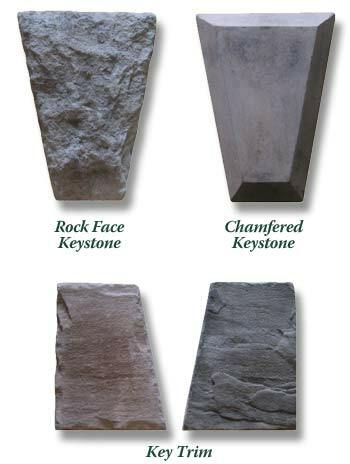 Capstones are great for capping retaining walls, entry signs, etc. 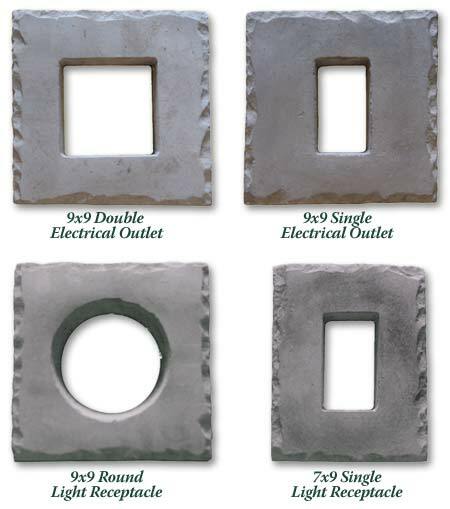 They come in three sizes, including curved for designs that require a radius. 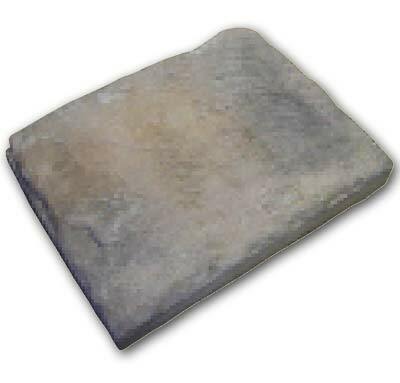 Pier Caps are pitched on four edges and provide a tiered capstone look. You may choose two, three, or four descending sizes. They are versatile by them selves and can be used in many cases where a standard capstone is not sized right. 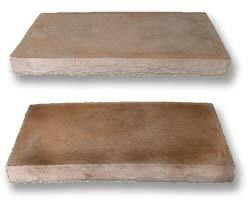 Full Bed brick will not be flush with manufactured stone unless it is cut. 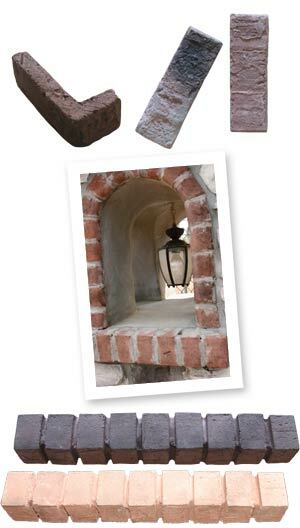 We manufacture Faux Brick Sills, Soldiers, and Trim Corners to use as detailing for an elegant brick/stone combination. 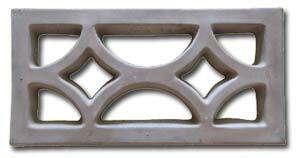 Keystones are nice window accents, they may be used alone, with Stonehouse Soldiers, or Sills to dress out your windows with added character. Corner Trim Soldiers are a great detail for arches, recessed windows, and may also be used as Quoins to bring beautiful detail to corners. You may stagger them back and forth or more uniformly all in the same direction. 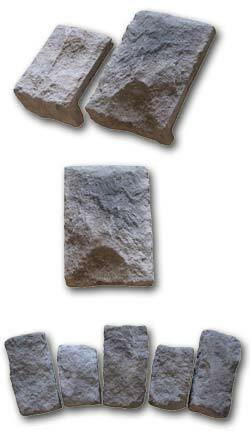 We also offer a more random style trim stone called Cobble Trim. 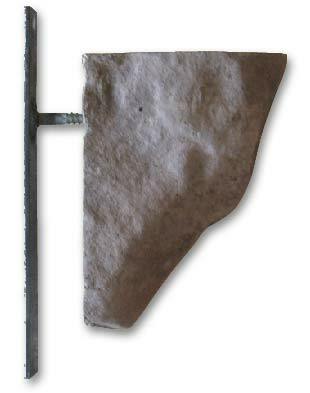 One of the latest innovations added to our accessory line are decorative stone vent covers. Instead of an eye sore it is a beautiful piece of architectural design.